Erm, what animal is he? A grey tabby cat? so funny! 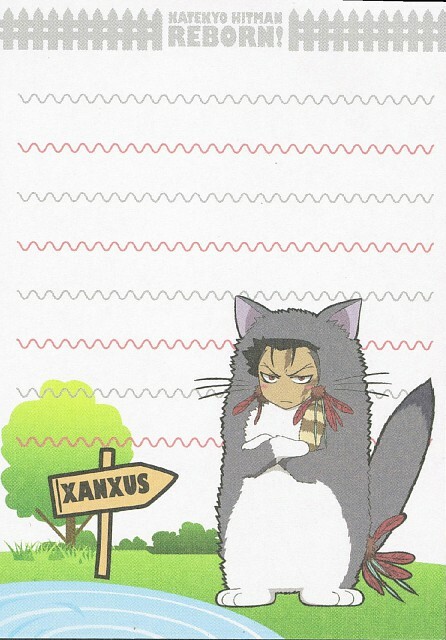 what animal is xanxus.. a racoon? What animal is he supposed to be? He doesn't look very pleased at all rofl..
thanks for the great scan! aaaaaa, kawaiiii yo! Arigatou gozaimasu!